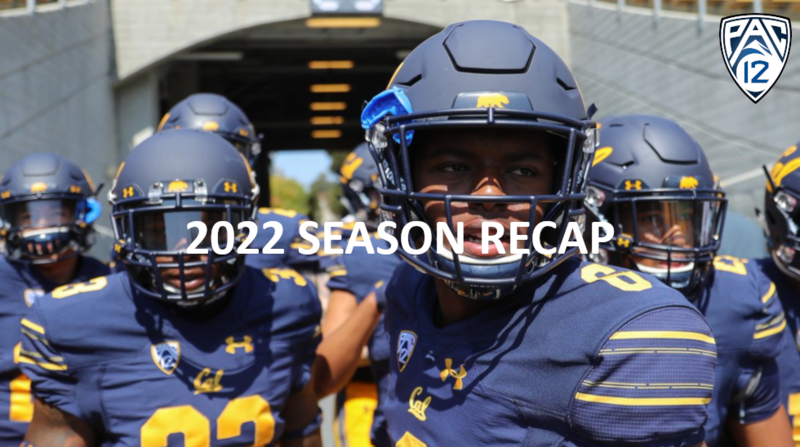 This season ended in a very disappointing fashion for the Golden Bears. After starting off 2-3 under the team's previous head coach, noodlz2 took over the program with hopes of clinching a bowl game. Starting off 2-1 under a new head coach hopes of making a bowl game were bright. After a close home loss against Washington one of the PAC-12's top teams things took a turn for the worst. Lack of offensive production and turnovers during crucial moments kept Cal from winning 2 out of it's last 6 games to gain an opportunity to go bowling. Zachary McFadden was the man to go to for this Cal offense. His electrifying speed has allowed him to be a threat on the ground, as well as the pass and return game. With 7 receptions, 47 yards, and 1 TD. If you want to talk about going out on a high note, in his last two games he accounted for 225 yards rushing, 1 Touchdown, and 194 kickoff return yards*. Totaling for 1,407 all purpose yards was definitely beneficial to the struggling Golden Bears offense, but having to utilize him in as many possible his production in the run game may have been hindered. The great news is in next season's offensive situation McFadden's talents can be used more in the run game. With a skill ceiling to cap entering his redshirt senior year, hopes are high for the seasoned veteran next season. *Denotes he was #1 KR on the depth chart for Arizona State and Stanford games. It's safe to say that a redshirt season benefited Jamal Dorsey's development entering this season. His performance on the field is what has contributed to a stable defense. If you look at Cal's offensive numbers they really did not give the defensive side of the ball much help, allowing Dorsey to step up and be the play maker on the defensive line. Next season is going to be exciting if he continues to step up and be a presence on the defensive of the ball like last year. If he can rack up some conference awards in his next few years of eligibility, Head Coach noodlz2 is hopeful he may get a shot at the next level. *Taken from  PAC-12 First Reaction: Crootin' Class Grades. Credits @bingo415. Coleridge Beverly the strong safety out of Chula Vista was the standout commit for the Golden Bears. The rest of the recruiting class fills gaps in a few essential positions and adds depth to the secondary as well. Some of this year's recruiting setbacks were, missing the JUCO recruiting period, and lack of the ability to build a recruiting class that fits new coaching philosophy. With lots of young talent and positions that are in dire need of top level PAC-12 talent, snagging a JUCO recruit in 1 or 2 positions would've went a long way. To go along with that there was almost a fully signed class by the time Head Coach noodlz2 took the position Week 8. After finishing 106th in the nation in recruiting there will be an emphasis on recruiting. Next season will be exciting if this coaching staff can bring in some high caliber PAC-12 talent. Great piece of media! PAC coaches: let’s all do this.